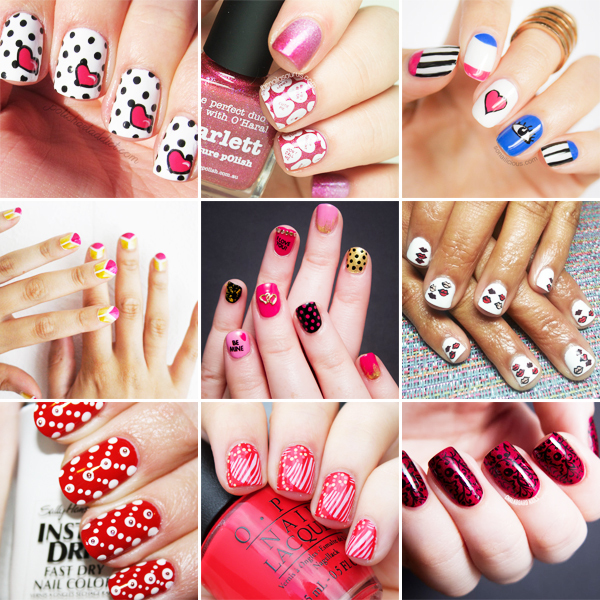 9 Amazing Valentine's Day Nail Art Designs To Try! | Top Beauty Blog in the Philippines covering Makeup Reviews, Swatches, Skincare and More! 9 Amazing Valentine's Day Nail Art Designs To Try! In this post I've rounded up 9 of the best Valentine's Day nail art designs that will put you in the mood for love, just in time for February 14. From the classic to the quirky, I guarantee that you will fall for one of these uber adorable Valentine's day inspired nail art designs. Some of them are easy while others are a little bit challenging, just find what's the best for you. Enjoy! Which one do you love the most? Let me know in the comment section below! These are all so gorgeous!...thx for sharing! Such fun manis! It's wonderful that nail art is now a form of creative expression. Cute ideas, I love them all!!! Gorgeous mani inspo! Thanks for sharing Miss! They are so cute! I think I like the blue one the most! I wish I could do the same in my nails! Hi dear thank you for your comment and of course I would like to follow each other so I start to follow you with GFC and bloglovin! ^-^ Hope you do the same! Valentones day's is the perfect ocasión for wear red nails! Happy weekend! I think I like the bottom left the most! Que bonitos quedan los corazones y el colorido genial. I´m in love with the last one, amazing! ooh idk which one to do first!!! Wow amazing nail styles! I really should try some of these! These are so cute! Thanks for sharing :)!!! ...grazie per questa selezione...stavo proprio cercando idee per realizzare nail art per san valentino!! !